PCO introduces the new pco.dicam C1 and as the first intensified camera systems to exploit the full performance inherent to scientific CMOS sensor technology. The camera features optical coupling of 25 mm high resolution image intensifiers, an excellent high efficiency tandem lens system, and a 16 bit 4 MPix sCMOS sensor. 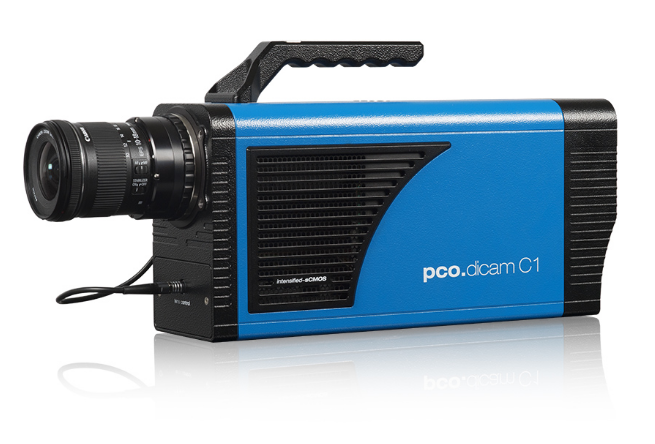 The pco.dicam cameras utilize Camera Link HS, the latest standard of high performance data interfaces for scientific cameras, which guarantees uncompressed and robust data transfer of via optical fiber over virtually any distance. For additional features, specifications, and advantages, download the available datasheet.